I read this article and found it very interesting, thought it might be something for you. The article is called Loosysmokes: SHAPE-SHIFTING and is located at https://www.totallydublin.ie/arts-culture/festival-features/loosysmokes-shape-shifting/. “I have a really strong visual of dark, velvet, red curtains in a crappy space and the presentation of fake smiles, over and over again, to the audience,” says Elaine McCague in relation to her initial beef with traditional circus. Ironically, she’s now spearheading Loosysmokes, one of the most innovative companies in the field of non-traditional circus. And you can thank Fat Matt for this. McCague ended up in Margaret River in Western Australia after completing a TV and film production degree in Glasgow. She was working in a cafe one day when, “this guy in a suit came in casually wearing clown shoes.” This turned out to be Fat Matt who introduced her to the Lunar Circus he runs there. McCague started workshopping and was hooked. Upon returning to Ireland, she became involved in PaperDolls who bonded over their passion to perform with airborne circus equipment like trapeze, rope and silks. And when they disbanded, the next phase of evolution for McCague has been Loosysmokes. Along with acrobat and choreographer, Jonah McGreevy, they’ve complimented their skills and shortfalls through collaboration. 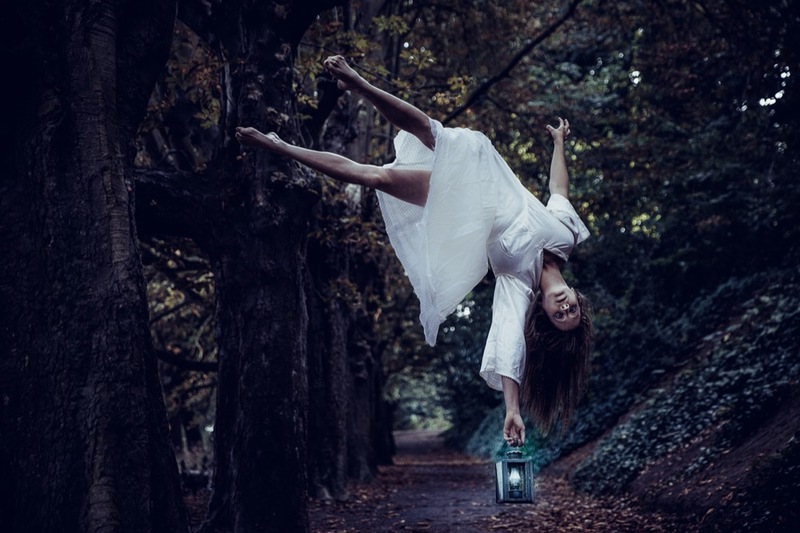 Audience members will be led into the woods in St Anne’s Park in Raheny to see the spectacle. They are also drawing on artist Harry Clarke as a visual aid for the production. “We’d seen his stained-glass windows in the Hugh Lane. They are so amazing and intricate. We work a lot with textures and layers and saw the way he melds bodies, within space and illustrations, as a natural reference. Loosysmokes are drawing people into surrealism where existing natural elements help shape the performance while they conjure up an otherworldly universe. 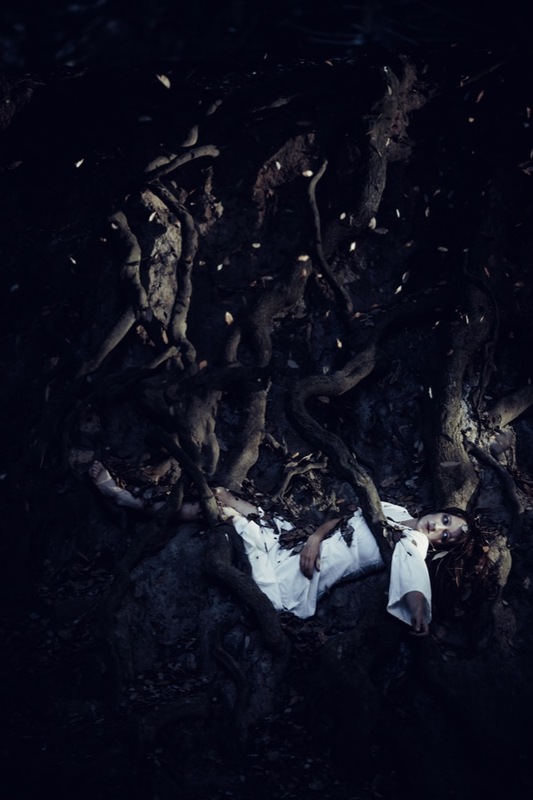 Indeed, it was during the photoshoot for the event with Olga Kuzmenko that their attention was drawn to a root system which will now form part of the show. “We normally write a show, visualise it and then have the challenge as to how we include circus apparatus in it.” This layering effect will also include a soundscape by Craig Cox and have five to six performers on the aforementioned trapezes along with ladders, steel and rope connecting with gnarly branches and roots – all breathing life into wondrous creations.